I’m sure that I use hundreds of products that involve crystal urea. However that does not mean I want to be told that you’re washing my clothes in it. 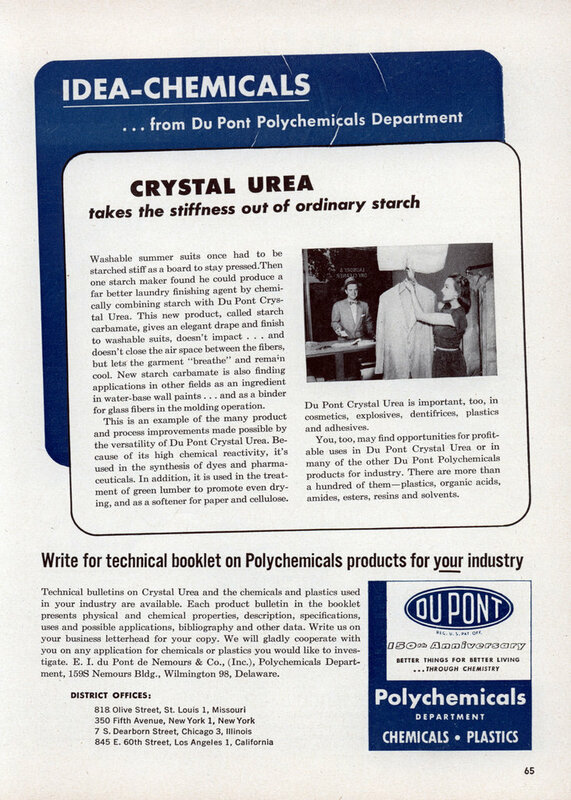 Washable summer suits once had to be starched stiff as a board to stay pressed.Then one starch maker found he could produce a far better laundry finishing agent by chemically combining starch with Du Pont Crystal Urea. This new product, called starch carbamate, gives an elegant drape and finish to washable suits, doesn’t impact . . . and doesn’t close the air space between the fibers, but lets the garment ‘breathe” and remain cool. New starch carbamate is also finding applications in other fields as an ingredient in water-base wall paints . . . and as a binder for glass fibers in the molding operation. This is an example of the many product and process improvements made possible by the versatility of Du Pont Crystal Urea. Because of its high chemical reactivity, it’s used in the synthesis of dyes and pharmaceuticals. In addition, it is used in the treatment of green lumber to promote even drying, and as a softener for paper and cellulose. Du Pont Crystal Urea is important, too, in cosmetics, explosives, dentifrices, plastics and adhesives. You, too, may find opportunities for profitable uses in Du Pont Crystal Urea or in many of the other Du Pont Polychemicals products for industry. There are more than a hundred of themâ€”plastics, organic acids, amides, esters, resins and solvents. Technical bulletins on Crystal Urea and the chemicals and plastics used in your industry are available. Each product bulletin in the booklet presents physical and chemical properties, description, specifications, uses and possible applications, bibliography and other data. Write us on your business letterhead for your copy. We will gladly cooperate with you on any application for chemicals or plastics you would like to investigate. 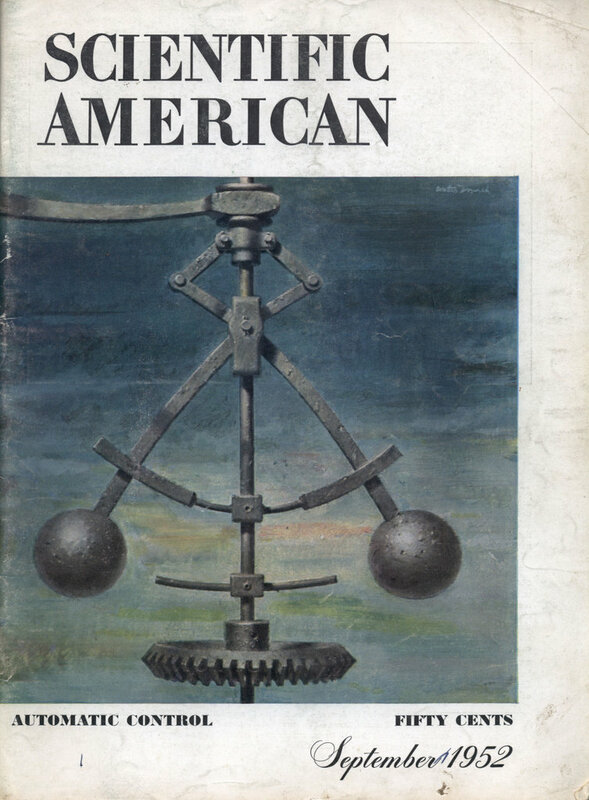 E. I. du Pont de Nemours & Co., (Inc.), Polychemicals Depart-ment, 159S Nemours Bldg., Wilmington 98, Delaware.